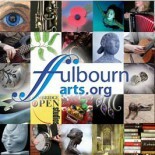 Fulbourn sadly lost one of its most talented and well loved artists in November 2008. Richard Sell was a gifted lithographer, his beautiful prints were immaculate in there detail. He had held an Open Studio at his house in Station Road for many years, and taught life drawing to locals. He had also spent much of his time as a Human Rights Campaigner. The following obituaries appeared in the The Independent and the Guardian. My friend and fellow artist Richard Sell, who has died aged 86, was a stone lithographer and portraitist of rare quality. A superb draughtsman, he was greatly in demand for his pencil portraits, particularly from members of Cambridge University. Born in Berkhamsted, Hertfordshire, Richard lived in India for several years as a boy. He attended Chelsea School of Art, in London, but, in 1941, interrupted his studies to join the Royal India Army Service Corps. Rising to captain, he ended the war in air supply at Akyab, on the Burmese coast. In 1947 he returned to Chelsea, and later studied at the London Institute of Education. He took up teaching to support his family but turned seriously to lithography in 1954 . He never used metal plates but was devoted to his stones, levigating them down the years, finally having to discard them shortly before his death. The subtleties in his work were exemplary, as was his sense of colour, in studies of ancient architecture or in shop windows reflecting passers-by. Three examples of his prints were exhibited at the Royal Academy summer exhibition of 1985, one of which won the nonmembers’ print prize. He exhibited in many mixed London exhibitions, his last show, in Ely, Cambridgeshire, being a hastily assembled retrospective after he had been diagnosed with leukaemia.He is survived by his wife, Jean, his son and daughter, and two grandchildren. Richard Sell, who died on 8 November 2008, had an advantage over me, his strict contemporary, in that he received a measure of art training before his enlistment in the army in 1942. He was therefore equipped to chart his way with detachment through his time in the Royal Indian Army Service Corps with a sketchbook and watercolours, the results of which were seen in a hastily arranged retrospective exhibition in Ely after he had been diagnosed with leukaemia. Born in Berkhamsted in 1922, Richard lived in India from 1923-25 and 1928-30, before enrolling as a student at Chelsea School of Art, where he remained until 1941. In 1942 he joined the army and rose to the rank of captain, ending the war in Air Supply at Akyab on the Burmese coast. Demobilised in 1946, he returned to Chelsea, continuing there until 1949, and studying thereafter at the University of London’s Institute of Education. He took up teaching full-time to support his family in 1950 – he had married Jean Bryant in 1948 – and from 1954 he turned to lithography as his medium of choice.He became a member of the Senefelder Group of artist-lithographers, and was the most patient craftsman I have ever known. He moved at his own sure, concentrated pace, a devotee of refinement, and this approach continued after he gave up all teaching in 1980. Between sessions in his studio he liked nothing better than to be commissioned for pencil portraits, many of them of Cambridge University dignitaries. His sheer draughtsmanship was inspired. In that last retrospective, a recent drawing of his cat, spontaneous and strong, could have sold several times over. On visits and on holidays he worked with watercolours, but his forte was so obviously lithography, which benefited from his unhurried, firm approach. He stayed with his stones down the years, spurning metal plates. He liked complication, such as reflections in shop windows, and was prepared to stand on view for hours sketching the apparent contradictions in front of him, puzzled onlookers included. Carrying this into lithography often took many weeks. Richard was honoured at the Royal Academy Summer Exhibition of 1985 with the non-members’ print prize and was further rewarded by the rapid dispersal of the other editions of his three prints on show. He made no attempts to find a dealer in London, although he was represented in several exhibitions there. He was ever drawn to the intricacies of ancient architecture and the “Cambridge Lace” ornamental wrought-iron work in Cambridge, where he lived for most of his life.It was he who arranged, transported and hung a charity exhibition for three of us of a certain age a year ago last spring. Soon afterwards he was diagnosed with leukaemia – through which his patient demeanor changed not at all.